Welcome to Love > Poverty: A Compassion podcast, where we will explore the creative ways that Christians around the globe are joining in the movement of fighting poverty with love. Hosted by Joe Long of Compassion Canada, Love > Poverty features interviews with a diverse collection of Christian professionals from all spheres of the workplace, on topics from child protection and slavery to social movements and the role of the Church. Roll down the windows. Put the car in drive. Love is on the move. Check in every Monday between October 15th and December 31st for a brand new episode! In the season finale of Love>Poverty, Joe sits down with President-Elect of Compassion Canada, Allison Alley. Listen in as Allison shares her perspective on the general landscape of International Development today, and the steps that we can take as Christians to have eyes to see God’s mission in our lives. We would greatly appreciate your feedback! As the first season of our podcast comes to a close, you can help us see how we did by filling out the Love>Poverty podcast survey. Do you ever wonder if it is realistic to expect that poverty could some day be eradicated? Ever wonder if we have an outdated understanding of what poverty looks like? Lead of Compassion Canada’s Communications team, Amber Van Schooneveld, joins Joe to answer some frequently asked questions about poverty and Compassion’s ministry. Amber is also an author of books like Hope Lives: A Journey of Restoration. Got a minute? 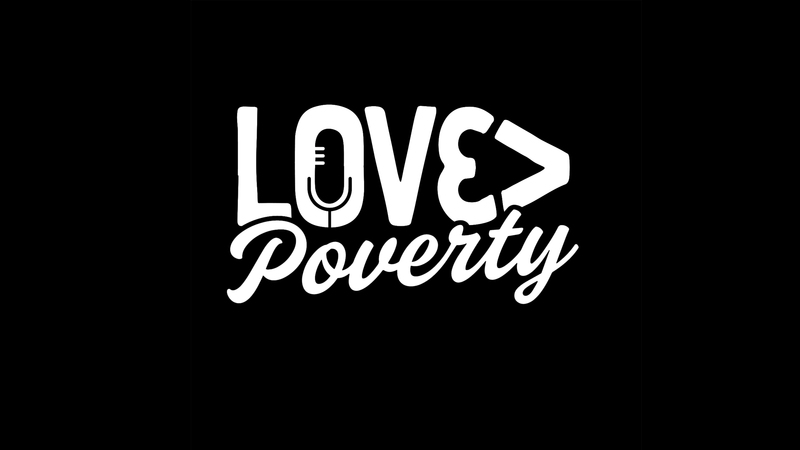 Help us out by filling out the Love>Poverty podcast survey so we can better serve you through our podcast! Brian Fikkert, President of Chalmers Center, joins Joe to talk about his popular book When Helping Hurts. Brian shares about the shifts and trends he’s seen in the Church since the time the book was written. He also shares about the debut of his upcoming book Becoming Whole: Why the Opposite of Poverty Isn’t the American Dream. You can preorder Becoming Whole today! In this week’s episode, Jonathan Almonte, Youth Development Strategist for Compassion Dominican Republic, shares about his journey from being a sponsored child enrolled in Compassion’s programs, to eventually working for Compassion Dominican Republic, wearing multiple different hats! Jonathan shares about what people might see when they come to see Compassion’s work in the Dominican Republic. Join Joe as he sits down with Rick Boyes, lead pastor at Gateway Church in London, Ontario. Rick explains his motivation behind encouraging his church to be ‘Jesus with skin’, and shares about his experience of leading a church that values community, serving and generosity! Senior Vice President of Research for the Barna Group, Brooke Hempell, sits down with Joe to chat about the work the Barna Group does of providing spiritual influencers with credible knowledge and clear thinking while enabling them to navigate a complex and changing culture. Brooke shares about a recent study produced by Barna called “The Good News about Global Poverty” and some of its most surprising implications. More findings of the Barna study can be found on Compassion’s recent blogs, The excellent news about poverty…that nobody knows and Faith leaders are the most trusted source on global poverty. This week, join us as we chat with Mike DeBoer, Compassion Canada’s Artists and Events Representative! Mike shares about the work he and his team do to support the artists who love what Compassion stands for and want to spread the message. Mike is also a comedian, who specializes in improv comedy. Listen in as Mike shares how he became passionate for serving the poor, and for serving others in sharing their stories and passions. This week, Joe connects with James Tebyasa—a Program Support Specialist for Compassion Uganda with a compelling story of being released from poverty. James specializes in Compassion Uganda’s WaSH (Water, Sanitation & Hygiene) initiatives, and is passionate about the life-changing impact that clean water has on young lives! If you’re interested in giving to the water initiatives like the ones James described, visit compassion.ca/water. View the transcript for this episode here! President and CEO of Compassion Canada, Dr. Barry Slauenwhite, joins Joe in the studio as they talk about Barry’s 35 years of experience in the sphere of International Development. Barry shares about his new book Strategic Compassion: Reuniting The Good News and Good Works in the fight against Poverty, and recounts his experience in Haiti during the 2010 Earthquake. In the first official episode of Love>Poverty, Joe sits down with Alyssa Esparaz: Writer and Communicator at Compassion Canada and International Development student at the University of Toronto. Alyssa and Joe get back to the basics of poverty, discussing trends in the International Development industry, and sharing about some of the most inspiring people they’ve met in the anti-poverty movement! Sometimes we look at the issues surrounding poverty around the world and feel completely hopeless— as if there is nothing we could do to change the story. Our efforts seem to be just a drop in a very large bucket. Join in our conversations this season as we chat with real-life people who are putting their own creative drops in the global poverty bucket.